This is a sponsored post written by me on behalf of Lifetime’s Turkey Hollow for IZEA. All opinions are 100% mine. One of our favorite things to do as a family over holiday breaks is to have a family movie night. We fill the living room with blankets and pillows, snuggle close, and enjoy a special treat while we watch a classic film. This year we will be adding a new classic to our lineup: Jim Henson’s Turkey Hollow, which premieres Saturday, November 21st (8PM ET/PT) on Lifetime. 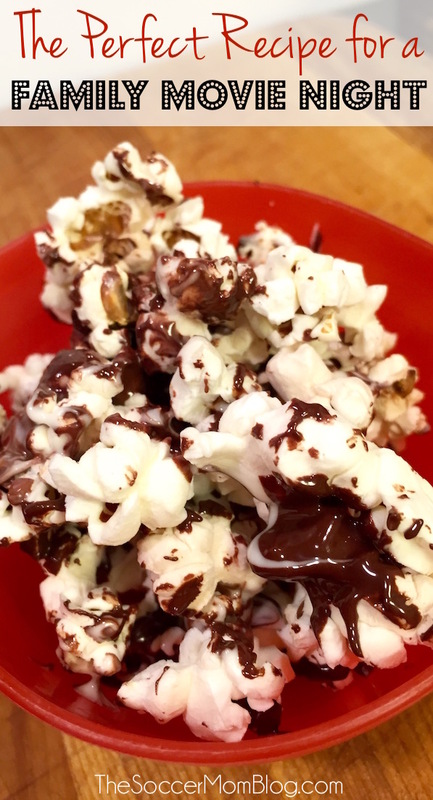 We have even tested out a new movie night recipe in preparation: Double Chocolate Popcorn. Read on for the deliciously simple recipe, PLUS how you can enter to win a Toys R Us gift card in Lifetime‘s Turkey Hollow Watch ‘N’ Enter Sweepstakes! Turkey Hollow is based on the previously un-produced 1968 story by Jim Henson and his writing partner Jerry Juhl (the creative geniuses behind The Muppets and Fraggle Rock). It follows the Emmerson family as they travel to the old-fashioned town of Turkey Hollow for a Thanksgiving visit with kooky Aunt Cly. In Turkey Hollow, the Emmersons find themselves free from the distractions of modern technology and get caught up in a whirlwind of adventure. It’s a story perfect for the entire family and boasts an all-star cast, notably: Academy Award® and Golden Globe® Winner Mary Steenburgen (Orange is the New Black, Last Man on Earth), Jay Harrington (Benched, Better Off Ted) and Grammy® and SAG winner Chris “Ludacris” Bridges (Fast and Furious). 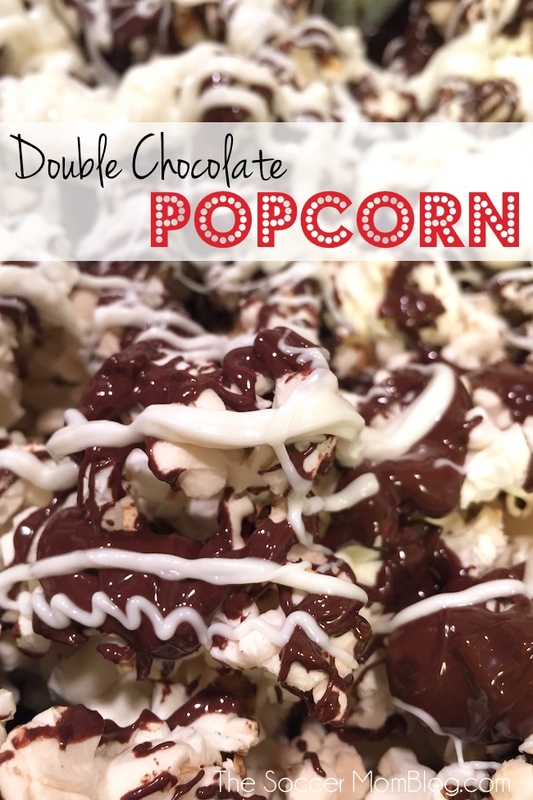 I was craving something chocolatey this week, so in the guise of “practicing” my new recipe for our upcoming movie night, I made a batch of Double Chocolate Popcorn for a taste-test. STEP ONE: Prepare one bag of microwave popcorn according to the directions on the package. STEP TWO: Spread popcorn on a baking sheet so it can be coated evenly with chocolate. STEP THREE: Microwave 1/2 cup dark melting chocolate in a microwave-safe bowl for 30 seconds. Stir, and continue to heat in 10 second intervals until melted and smooth. STEP FOUR: Drizzle chocolate over the popcorn. STEP FIVE: Repeat process with 1/2 cup white melting chocolate. Allow to cool for 30 minutes – 1 hour or until chocolate has set. Enjoy! 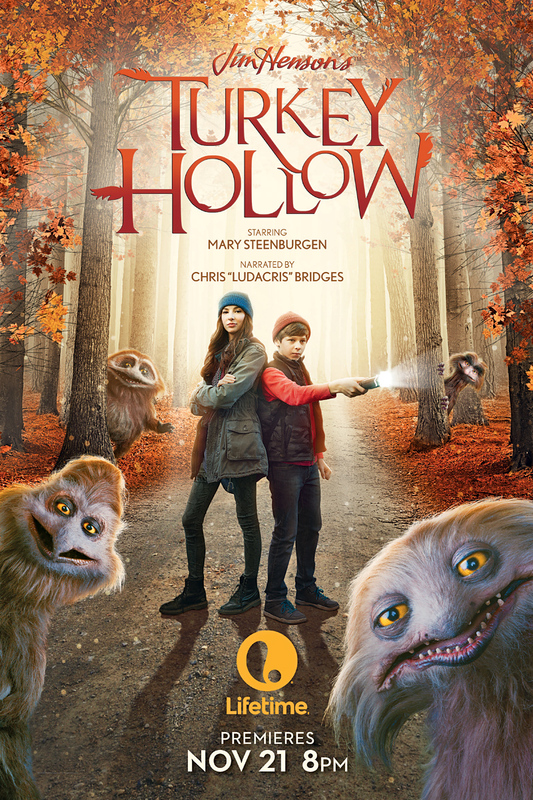 Mark your calendars for November 21, at 8pm ET/PT on Lifetime for the premiere of Jim Henson’s Turkey Hollow, make a batch of double chocolate popcorn, and enjoy a family movie night! You don’t have to wait for the premiere for the Watch ‘N’ Enter Sweepstakes — make sure you visit Lifetime today and watch the trailer for a chance to win a Toys R Us gift card!